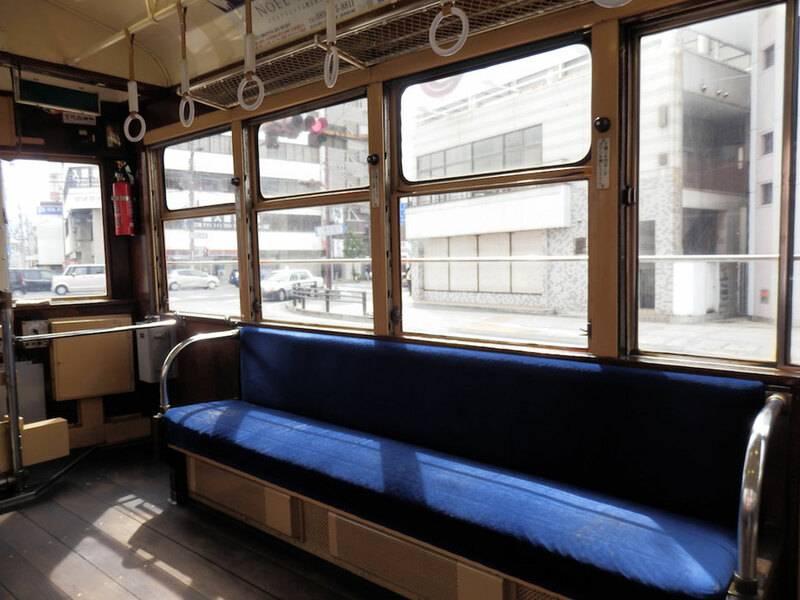 The main public transportation of Matsuyama City is a tramcar. 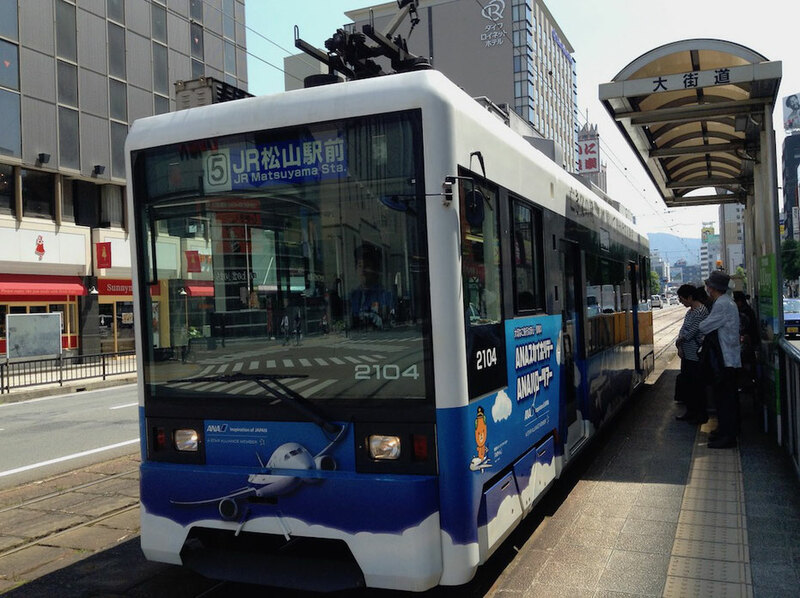 This is Iyo Railway(it is also called "Iyotetsu") Matsuyama City Line. 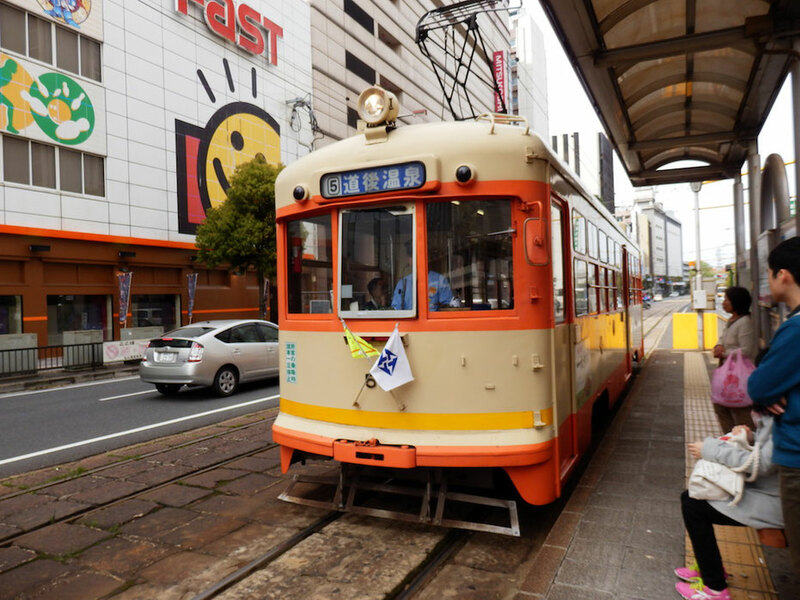 LRT type car is painted sponsor's color. 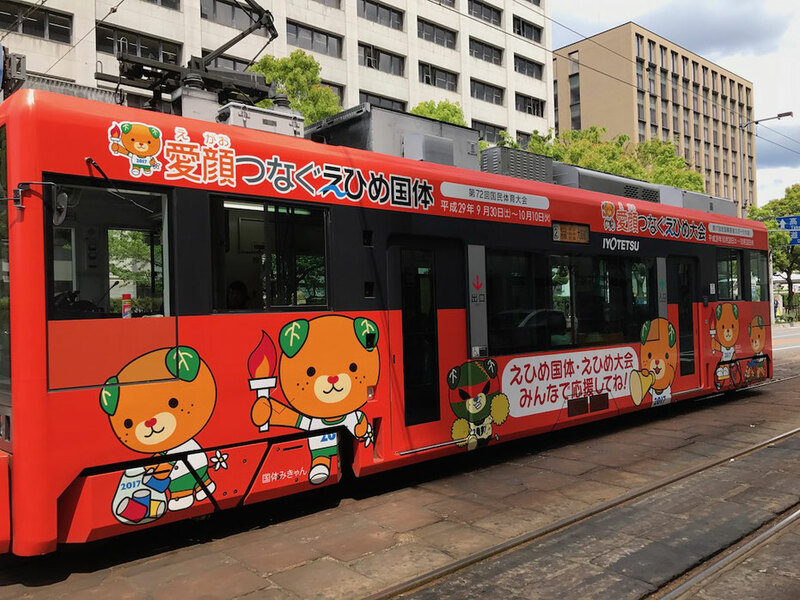 This is a car painted characters of Ehime Kokutai(National Sports Festival). 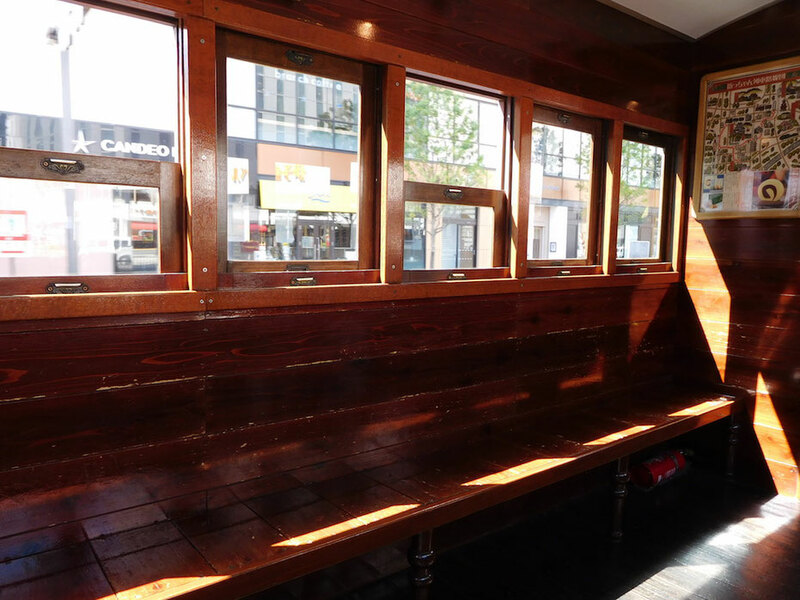 The interior of a tram car(Moha 50, Moha 2000). 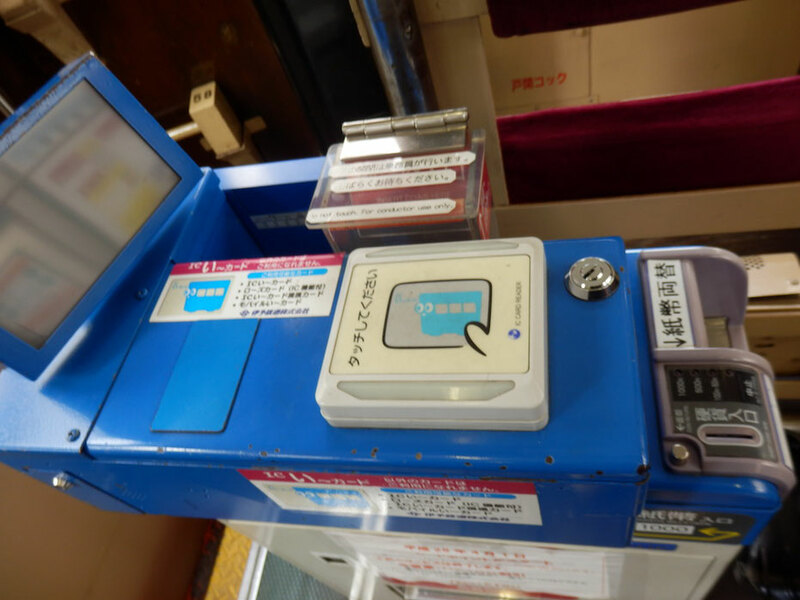 Iyotetsu introduced the IC e-card, a smart card ticketing system. 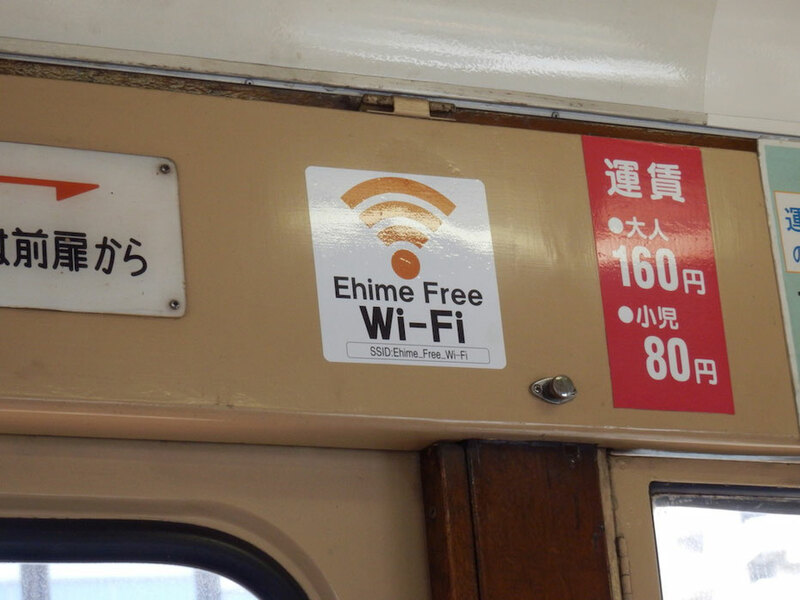 You can use free WiFi(Ehime Free WiFi) in a tramcar. 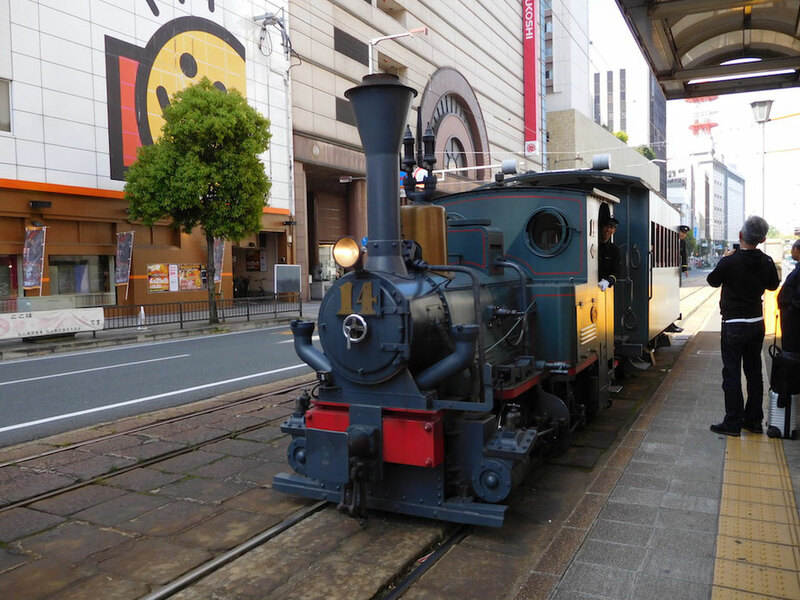 "Botchan Ressha", a diesel-powered replica of a small-gauge steam locomotive installed in Matsuyama City in Meiji Period, runs a route of a tramcar. 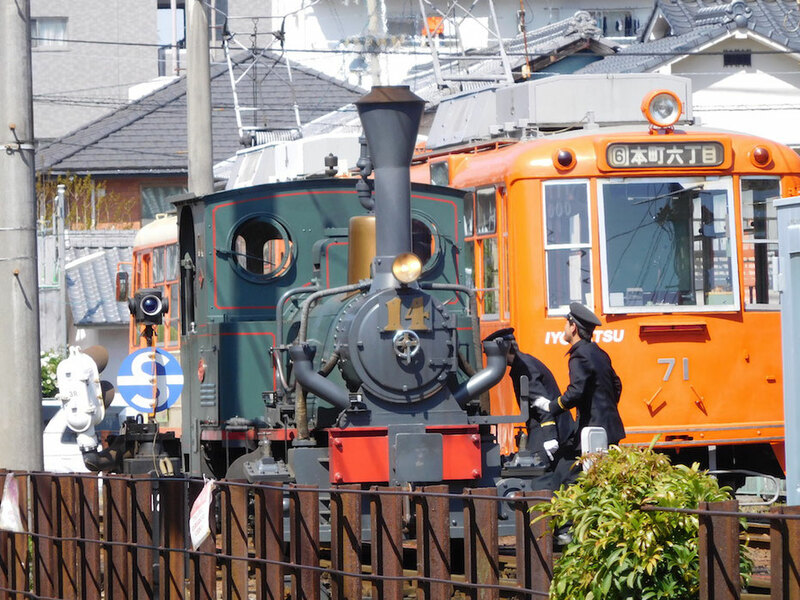 "Botchan Ressha"'s name is based on "Botchan", the novel written by Soseki Natsume. 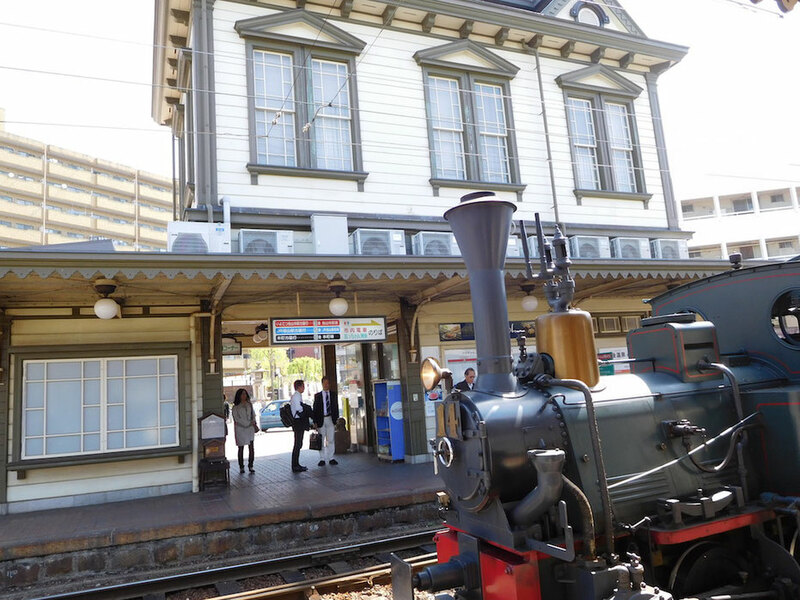 Its inside restores to original steam locomotive in Meiji Period. 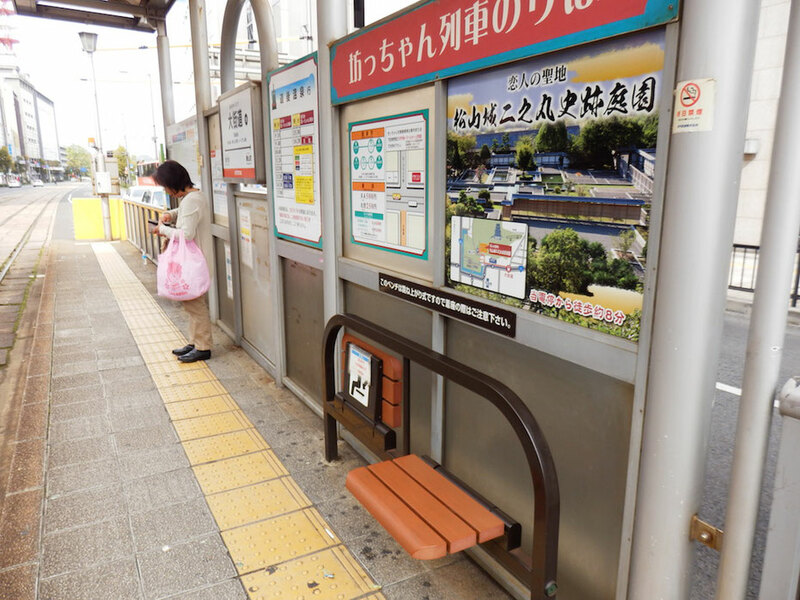 A flat fare of 500 yen(about 450 - 500 U.S. dollars) is charged on it. 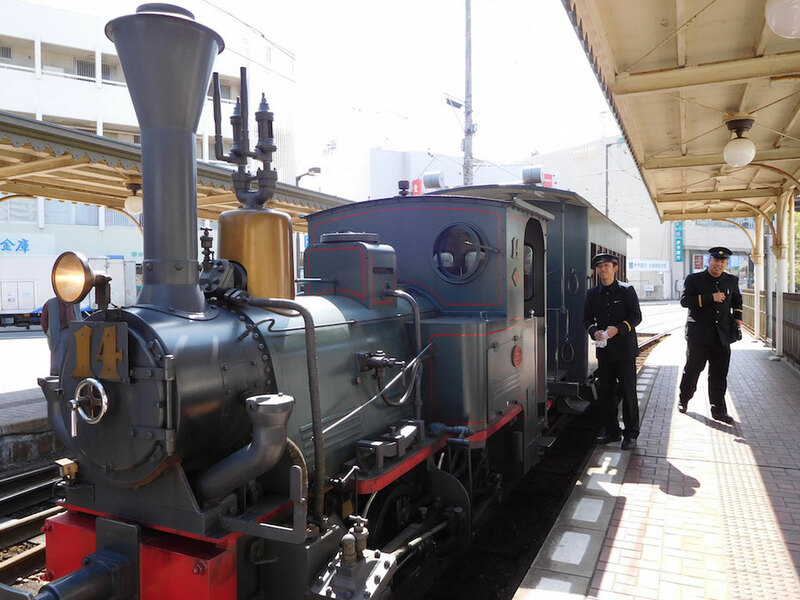 Botchan Ressha arrived at Dogo Onsen Station, the terminus. 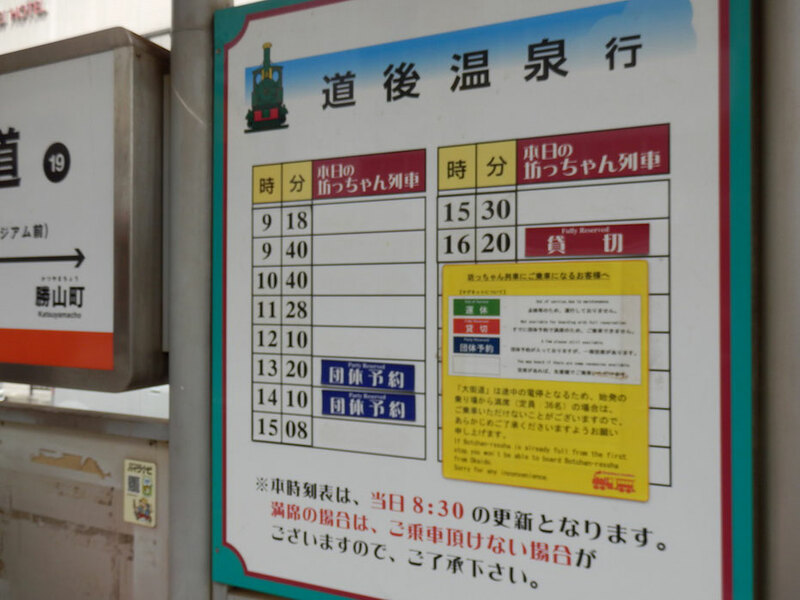 It makes a turn at Dogo Onsen Station, Matsuyamashi Station and Komachi Station. 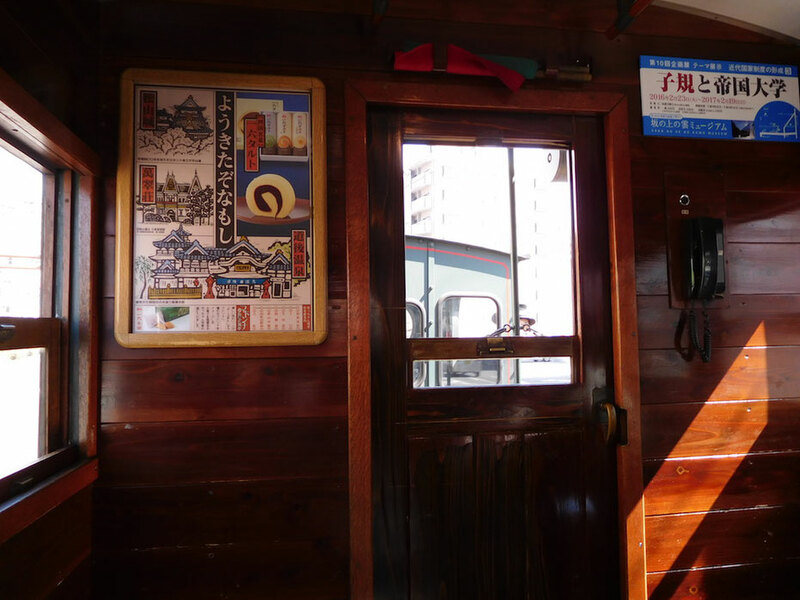 There is timetable of "Botchan Ressha" at tramcar's station that is stopped by "Botchan Ressha". 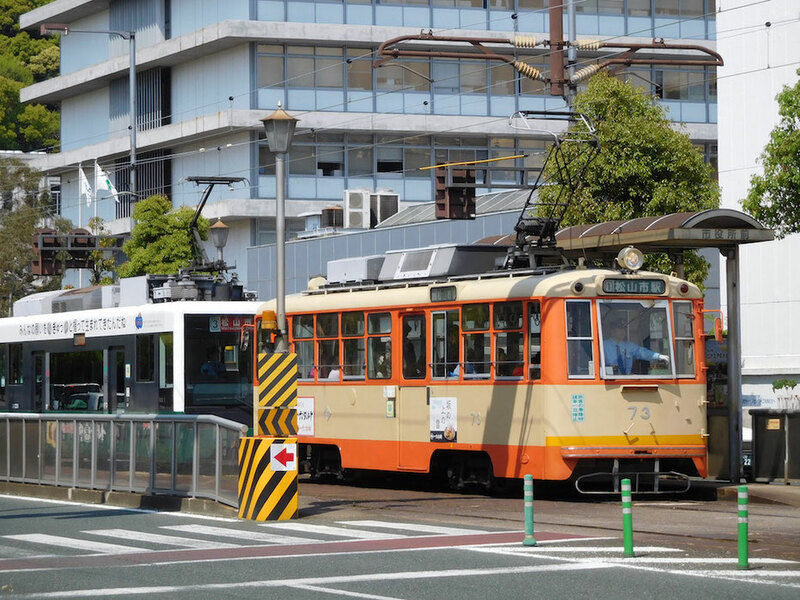 There is a crossing of a tramcar and a train in Matsuyama City. 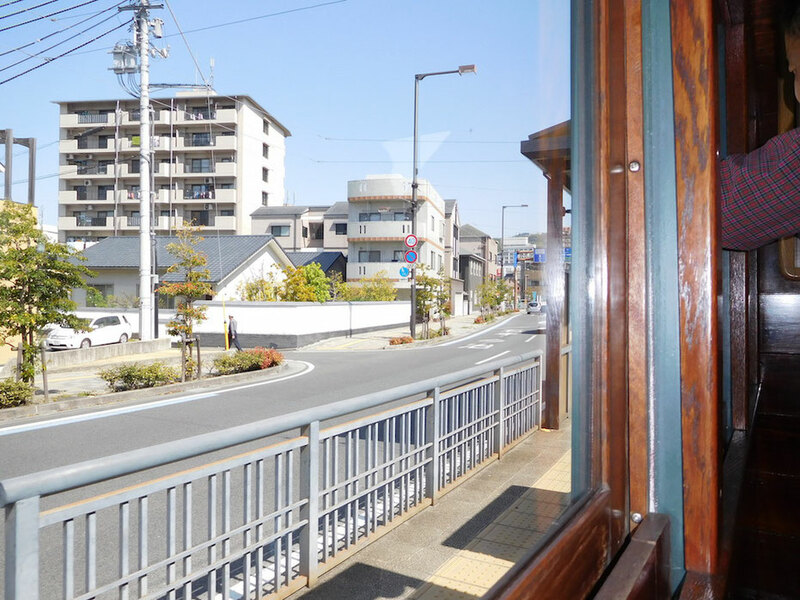 It is called "Diamond Cross", and it is one of famous places of Matsuyama City.